Don’t forget to place your orders as soon as possible, so that we can guarantee a delivery before Christmas! 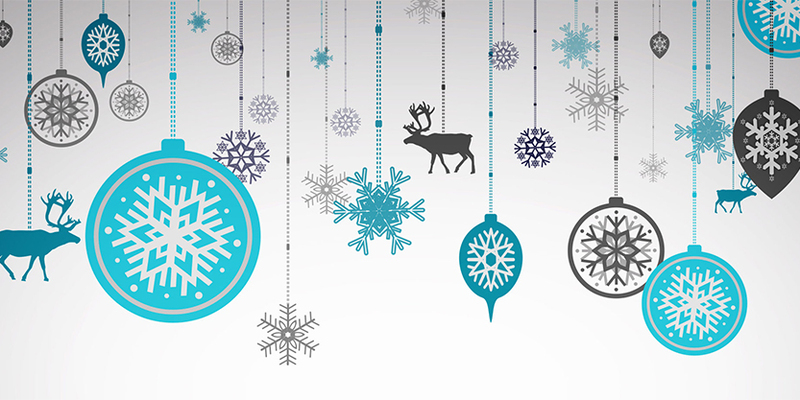 Our European offices will be closed from December 22nd, 2018 until January 2nd, 2019, for the holiday season. If you have any questions on our products or services, don’t hesitate to check out our website: www.adi-corporate-staging.z4pby1v9-liquidwebsites.com. We would like to take this oppotunity to thank you all for your great support during this year. The team at A&D Instruments wish you and your family a Merry Christmas and a Happy New Year! The consulting time of medical specialists at the University Hospital Antwerp has been fundamentally improved over the past two years. The screening of blood pressure, heart rate, height, weight, BMI and temperature is no longer done by a doctor, nurse or clinician but by the patient himself. This has been possible thanks to the WellPoint Kiosk featuring the A&D TM-2657P Waiting Room Monitor. Professor Dr. Guy Hans, medical director of the University Hospital talks more about it. 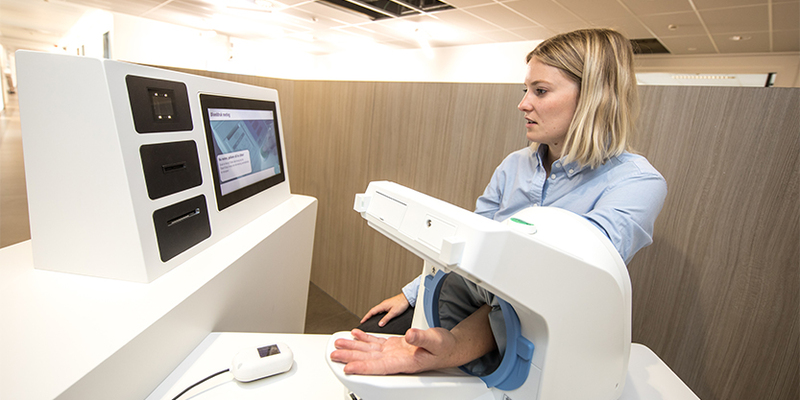 The WellPoint Kiosk is a collection of devices with which the patient can independently measure his/her vital parameters, such as blood pressure, heart rate, weight and temperature. 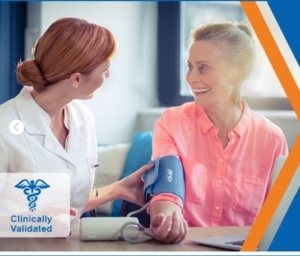 In addition, the patient can provide the healthcare professional with other clinically desired information by completing personal validated questionnaires for pre-screening and risk assessment. 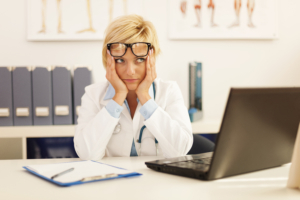 The results are immediately passed to the Electronic Medical Record (EMR) and therefore do not have to be entered manually, saving time and reducing data entry errors. Healthcare professionals can immediately discuss the results with the patient during consultation hours. At UZA, there are six of these kiosks embedded in the hospital flow. Plans for further expansion contain the integration of this kiosk to keep the patient flow within the hospital as efficient as possible. This is a problem that is not unique to UZA. According to Professor Hans, many hospitals do not have this minimal set of patient data. Working with the kiosk has several advantages according Professor Hans. “Thanks to the kiosk, we receive the results of the vital parameters from every patient who comes here during consultation hours. In this way, the physician has an up-to-date and accurate ‘snapshot’ of the patient’s physical condition during the consultation. Another important advantage is time saving; care providers do not have to take measurements manually anymore. That saves about 6 minutes per patient. Multiplied by the tens of thousands of patients who visit the UZA every year … that time saving is therefore enormous”. Professor Hans emphasizes that UZA uses the time gained to optimize and improve the quality of care rather than to reduce costs. Professor Hans commented that the quality of the consultation hours has greatly improved thanks to the kiosk. The TM-2657P is the latest model in the range of A&D freestanding fully automatic blood pressure monitors. Designed for high foot fall areas to save time and money offering a Return on Investment (ROI) normally within 6 months. 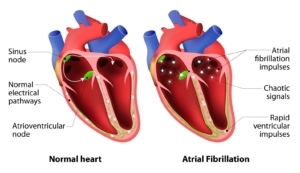 Atrial fibrillation (AF) is a type of irregular heartbeat. It occurs when your heart is not pumping as well as it should, resulting from a disturbance in the electrical conduction pathways in the heart. A condition more common with advancing age, if left untreated can lead to serious complications such as heart failure and stroke. Being the most common sustained heart rhythm disturbance (arrhythmia)1 and affecting 1 in 4 middle-aged adults at some point in their life2, people with AF are three to five times more likely to suffer a devastating, debilitating, disabling and often fatal stroke than people without AF. Resulting from a disturbance in the electrical conduction pathways in the heart leading to an irregular pulse which can often be quite rapid, AF often contributes to symptoms of palpitations, shortness of breath, chest discomfort, light headedness, fainting and fatigue. AF-related strokes cause unacceptably high levels of death and disability, and the scale of the problem across Europe is increasing as our populations age. 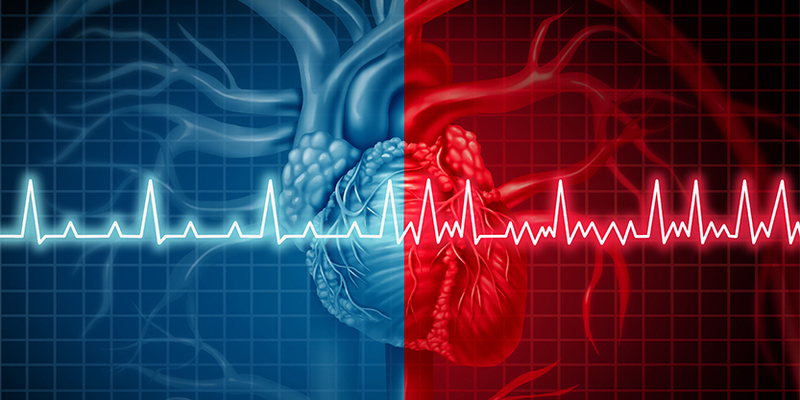 The prevalence of AF is increasing due to a combination of population ageing, changing patterns of risk factors, and improved survival rates in other, contributory forms of cardiovascular disease. Newer treatments are available in the form of novel oral anticoagulants (NOACS), which are safer, at least as effective as the existing treatment mainstay of vitamin K antagonists, and simpler to use (as they do not require regular blood tests). A number of relatively inexpensive screening devices for detecting AF in the community have been developed and the field may evolve rapidly as new technologies and algorithms emerge. 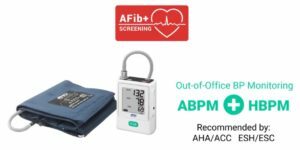 Ambulatory Blood Pressure Monitors (ABPMs) provide testing to determine the presence of hypertension by taking measurements during normal daily activities, over a span of 24 (or more) hours. 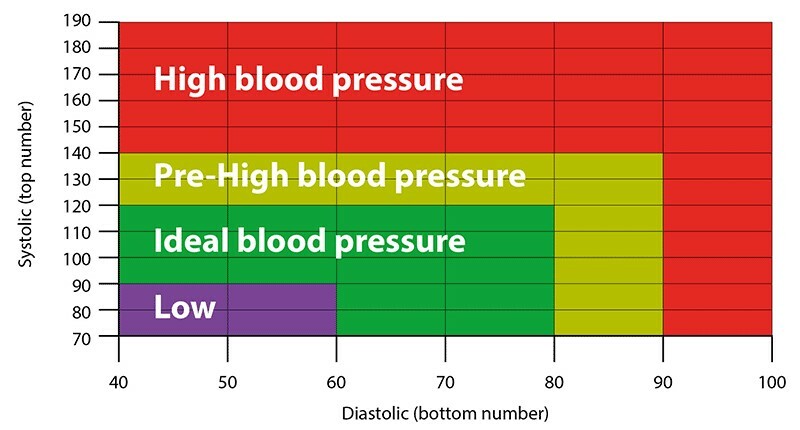 They help to diagnose as well as monitor high blood pressure (hypertension), usually defined as a systolic pressure of 140 mm Hg or more and a diastolic pressure of 90 mm Hg or more. ABPMs are portable blood pressure devices worn on a belt, with the cuff being attached around the upper arm. All types of daily activities, including sleep, may be normally carried out while wearing this device. 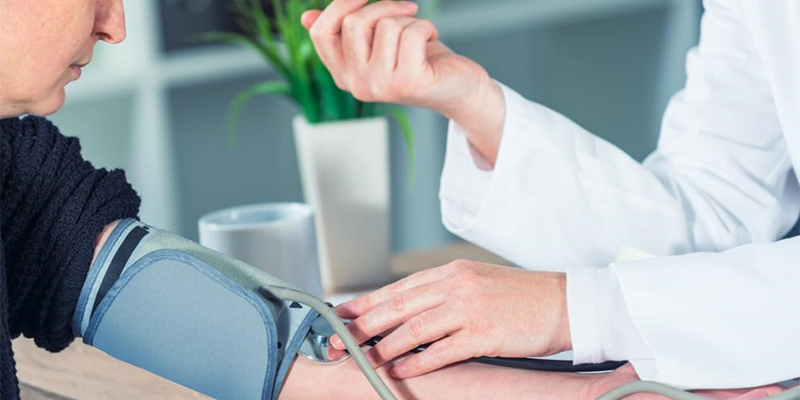 By giving an accurate picture of a patient’s blood pressure throughout the day and during sleep, it can prevent unnecessary prescribing of hypertension-reducing drugs for white coat hypertension. It also helps patients with masked hypertension to receive required treatment. It reduces the risk of stroke, heart disease, and organ damage caused by hypertension, and also shows how well a person responds to a long-acting antihypertensive drug. British Cardiovascular Society (2014) BCS statement on screening for atrial fibrillation to prevent stroke (BCS), http://www.bcs.com/pages/news_full.asp?NewsID=19792297 (accessed 22 May 2017).